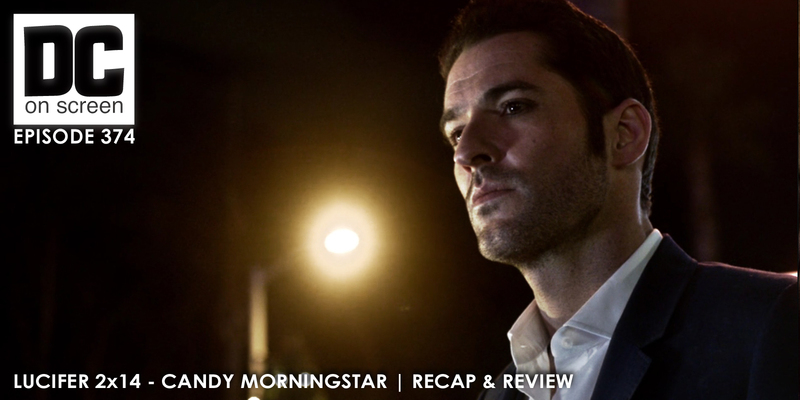 Lucifer returns with some arm Candy and completely ignores Chloe’s feelings about the subject in an attempt to undo her feelings for him, which he feels were contrived by Dad. Candy helps Chloe and Lucifer get back to square one, thwarts Mom in a way she’s never before experienced, and helps solve the case of the murdered front man, all before the reveal that she was a con hired by Lucifer to help extract plans from his Mom. Turns out she wants to get Azrael’s sword and storm her way back into Heaven.